Spring 2019 Mini Milers starts March 31st! Mini Milers is an 8 week coached group running program for children ages 5-12 years. It is an introductory level running program, and children of all fitness levels are highly encouraged to participate. Cost is $50 and includes a Mini Milers Program T-Shirt and weekly snacks. Mini Milers meets on Sundays from 4 - 5 pm at Hadley Middle School. Our goal race will be the River Run. Please note Mini Milers registration does not include race registration. Practices focus on mastering running drills, learning pacing, and building endurance. Always, of course, with smiles and laughter. This can be a "drop and go" program or alternatively parents are welcome to stay and cheer on their kid(s) at practice. You are also welcome to workout on the track during their meeting and run with your kid(s) too. 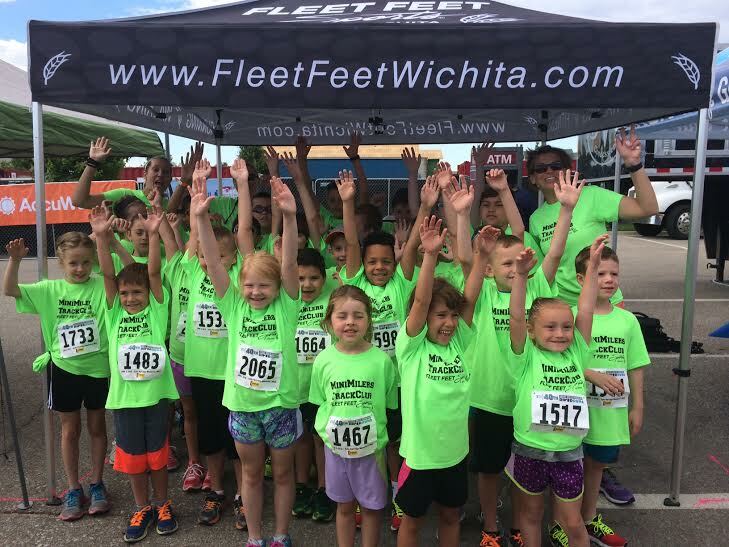 Informational meeting for the Fleet Feet Wichita Spring Mini Milers session starting March 31st. March 20th and 26th at the West store (2556 N Maize Rd.) March 22nd & 25th at the East store (2350 N Greenwich). Description: Mini Milers is an 8 week coached group running program for children ages 5-12 years. It is an introductory level running program, and children of all fitness levels are highly encouraged to participate.